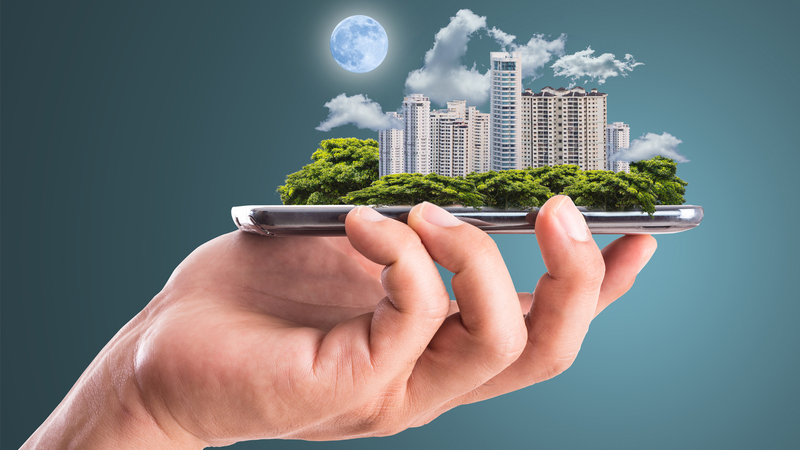 How Is Technology Shaping The Future Of India’s Real Estate Consultancy? Technology is playing a groundbreaking role in different industries across the world; it is only innate that the property brokerage industry will also follow. India’s real estate market was on of the first marketplace to justify professional brokerage services. It identified the need to connect the renters and homebuyers with the concerned suppliers. Today the real estate brokerage industry stands on yet another threshold, leveraging technology as a competitive advantage. Technology is indeed becoming an important separator for real estate brokerage across market segments and especially in the residential market. Another tool in the not so distant future is the improved use of predictive analytics. This has the potential to change the face of India’s property consulting industry. Much like the e-commerce websites that offer a personalized wish list of the items people have shown their interest in, algorithms will be able to define the customers with the kind of property they prefer and would be interested in buying. As advancing technology and automation redefine the buyer and broker interaction on real estate, it becomes indispensable to enhance the buyers overall property purchase journey and create a feel-good vibe about the numerous online options. In the present-day retail world, experiential marketing is already an important factor of attracting customers. Real estate consultants now face increasing pressure on finding tech-driven ways to enhance their customer experience. The RERA Act has finally started to bridge the chronic gap between customers and developers or brokers. The constant delays in home delivery, misleading promises, non-existent regulatory compliance of projects and deceptive promotions have been the main cause of developing this mistrust. The trust deficit has come from developers as well with their thick barriers that they have erected between themselves and the customers. Developer reputation and accountability has serious been affected by this barrier. Consultants can take this opportunity and bridge this gap through technology. The real estate consultants through various technology-enabled channels can bring customers closer to developers. This will permit customers to ask questions, clear their doubts in real time and establish a rapport that has really been missing from the residential property marketplace. Virtual tours have been around for some years now. With this tech-enabled medium the brokers assist prospective buyers, visitors and renters to visually go through the properties. The Indian real estate market still remains a touch and feel place where personal site visits are a must. Another entirely new and convenient way for customers within and outside India is the regular feature from property developers called online home festivals. This option lets people shortlist options and at the same time benefit from different offers, discounts and on the spot deals. With the deepening penetration of smartphones even the rural areas are not left out of the virtual space and market that it has created. With people becoming more tech-savvy, the list of phony properties that used to clutter the property searches have considerably gone down. Only verified and curated options are seen with a wealth of information. The RERA Act has also made a huge difference to this scenario. Crowd funding can be used innovatively to add value to developers and customers. For example crowd funding can be used to raise money online to finance a developer’s project from several donors. With the help of an escrow account the buyer’s stuck project can get completed and money can be accounted for. It could sell out some of the extra units and share the profits with such investors once the project is completed and a cooperative housing society is built. The Internet has opened unprecedented doors. What used to take a lot of the footwork out of finding property options, now only needs few hours. 70% of modern real estate consultancies’ prospects are today acquired through digitally obtained leads. As big data and analytics become more integrated with consultants they will find innovative ways such as finding instant matches to customer’s requirement or tracking sales figures information or getting date on projects’ construction progress and regulatory compliances. It is no news that a lot of work will be achieved through smartphones and brokers will need to become tech-savvy to handle millennial clients and expect flawless and quick information exchange. Technological advances with numerous apps will revolutionize almost all aspects of the real estate business in the future. They not only speed up the process but also make it more engaging and exciting for customers, brokers and developers alike.